Mohammed Shami case is in the headlines for a week because of the allegations made on him by his wife Hasin Jahan. Because of which, BCCI has put his contract on hold. As her wife also claimed about the match-fixing charges on him. Now another turn in this case that, Supreme Court has appointed Committee of Administrators (COA) and also have asked BCCI to look into the matter about the match-fixing allegations against the Indian cricketer. However, the Indian fast bowler has spoken on the matter and BCCI’s anti-corruption chief Neeraj Kumar will do the investigation over it. However, Shami had denied all the allegations charged on him. He said that it’s a proud feeling while playing for India and also gives goosebumps to him whenever he steps foot on the field and representing the country ‘India’. 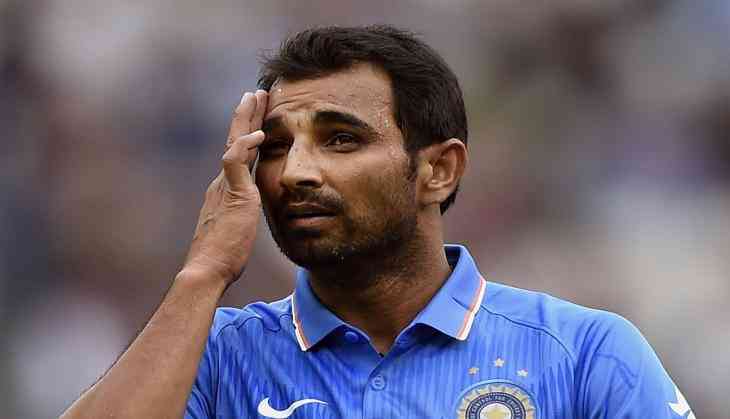 In an interview with India News, Shami said that BCCI has cancelled his annual contract. He further told that he always played the game in a free and fair manner and said that if found guilty in the cricket board investigation then he is ready to be hung. However, this top profile case was raised after the sensational allegations by Hasin Jahan on her husband that he had an extra-marital affair. She posted the chat conversations on the social media and also shared the photograph of Shami with a woman named as Alisbah. She also added that she is not even threatened by Shami and also from his family members. She needs a security from the Kolkata Police.